Jonathan Ellis is a Director in the Singapore office of Accuracy, which he co-leads. He has had broad forensic experience over the last 12 years. Jonathan specialises in valuations, in particular in dispute contexts, for litigation, arbitration and expert determination purposes. He also has significant experience of the assessment of lost profits. Further, he has provided consulting advice to utility suppliers in the Middle East, specifically in relation to their external and internal costs, and has undertaken independent accounting investigations. Jonathan is a member of the Institute of Chartered Accountants in England and Wales (ICAEW), where he was the Vice Chairman of their Energy and Natural Resources special interest group and is also a member of the Valuation and Forensic groups. Additionally, he is a member of the Association of International Petroleum Negotiators (AIPN). Jonathan has been appointed as expert on a number of occasions and has given oral testimony. He has provided advice and support across a variety of sectors and geographies, including energy, natural resources and manufacturing. Jonathan is recognised among the leading arbitration expert witnesses worldwide by Who’s Who Legal: “the “superb” Jonathan Ellis is one of the most highly rated valuation experts in Asia” (2017). 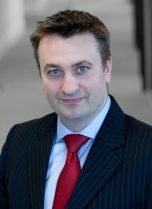 Jonathan has worked on matters before the UK Commercial, Family and High Courts as well as in ad-hoc, LCIA, ICC, SIAC and ICSID arbitration forums and under the UNCITRAL rules, and in mediation. Expert in a dispute relating to an investment in Palm Oil plantations in Indonesia. Expert in a partnership dispute relating to a middle eastern heavy industrials group of family owned companies. Valuation advisor in a joint venture dispute relating to a large chemical company, relating to minority oppression. Expert determination of certain working capital items as part of an industrial machinery transaction. Valuation advisor to a client and Counsel in a multi-billion dollar financial services dispute. Assisted expert in an arbitration under UNCITRAL rules, relating to alleged expropriation of mining assets in a former USSR state. Assisted expert in a dispute relating to the investment into a power barge in an emerging market. Assisted expert in a dispute relating to the investment into, and exit from, a JV that purchased multiple investments in Eastern European companies (including a portfolio of power plants). Assisted expert in valuing a minority shareholding in a major Eastern European mining and processing company. Assisted expert, in an ICC Arbitration under LCIA rules, relating to alleged pre-emption rights over shares, and the value of those shares, in a multi-billion dollar Ammonia and related products group. Assisted expert and advice in respect of a dispute regarding a restructuring of corporate debt of a major automobile parts manufacturer.